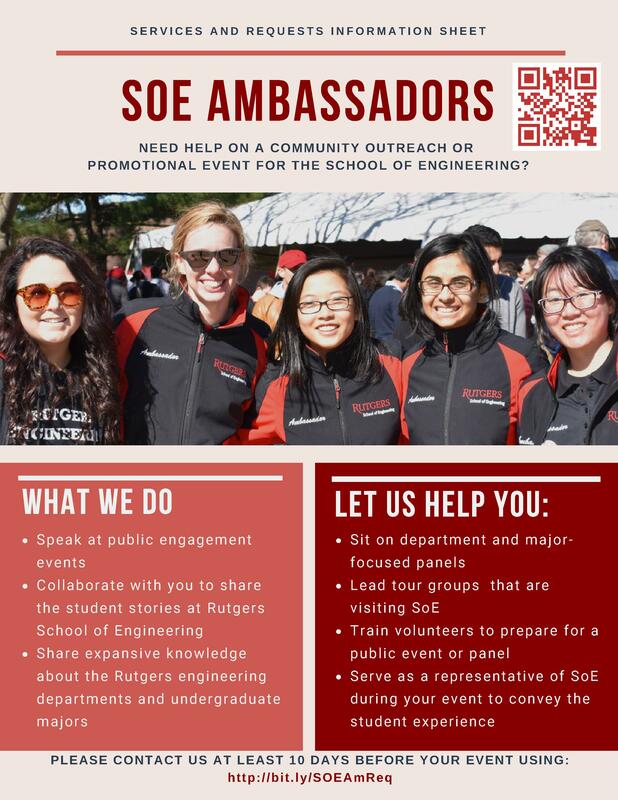 The Student Ambassador Program within the School of Engineering (SoE) is an opportunity for students who are dedicated to serving and representing Rutgers University. Our Student Ambassadors provide campus tours, sit on student panels and participate in public engagement events. The Ambassadors serve as representatives for the school, sharing the School’s mission and vision, along with their personal experiences. They can be seen at various events like the SoE campus tours, community outreach events, Engineer’s Week and Rutgers Spring Open House. To build and inspire a diverse community of future engineers that strives to exemplify the highest level of collaboration, intellectual curiosity, and social conscientiousness. As advocates for the mission of the School of Engineering (SoE), we embody teamwork, diversity, integrity and service. By tapping into our experiences, we empower prospective students to find their niche within the Rutgers community, and by engaging in open dialogue between faculty and staff, we can develop and maintain transparency throughout SoE. 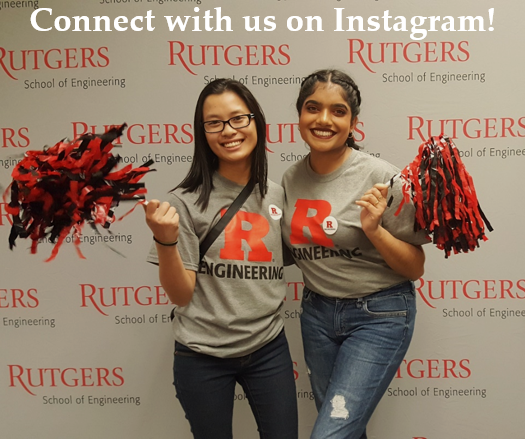 You can learn more about the members of the Engineering Ambassador program and their involvement at Rutgers on our Meet the Ambassadors page or on our Instagram. Please email ambassador@soe.rutgers.edu with any questions. Rutgers Paid Me to go to China!